In the heart of the Hautes Corbières, in a corner of unspoiled nature, on the edge of a peaceful village, come and relax away from the hustle and bustle of modern life. Put the laptop, forget the TV and slow down! This cottage for 2 to 5 people has been converted into the former cooperative cellar of Massac by integrating a concrete wine vat. It consists of a living room with kitchenette, a dining area and a seating area and opens with a bay window on an east-facing terrace. This terrace equipped with garden furniture and a barbecue will allow you, the many sunny days to take your meals outside at breakfast. Upstairs, a room with 1 double bed and 1 single bed in height and the bathroom with shower, sink, toilet. You have a parking space and summer access to the pool. The view of the surrounding countryside (middle mountain) is magnificent. 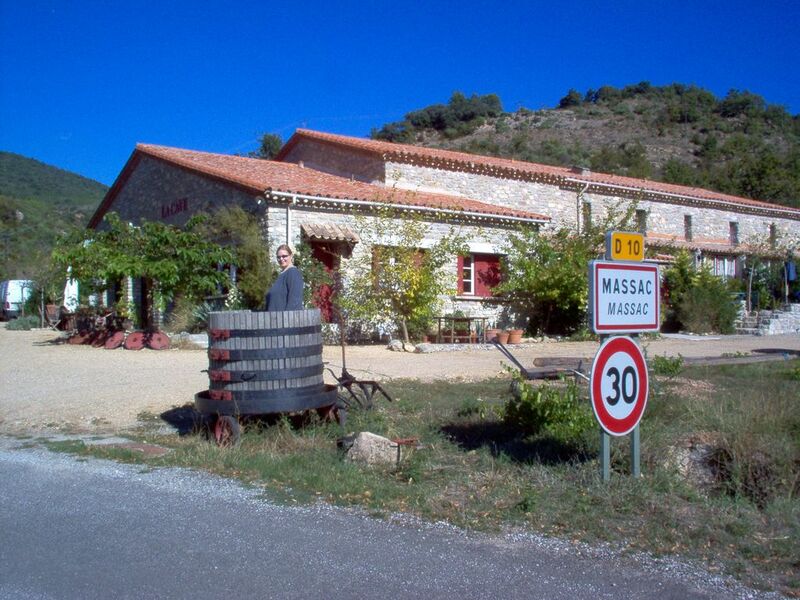 Massac is a charming village of the Hautes Corbières, where it is good to live and where the natives are happy to meet the vacationers, happy to see that their Cave lives a second life. Here, more culture and therefore a preserved nature that will delight botanists and entomologists. Ornithologists will not be left out, wild vultures and royal eagles crisscrossing the sky regularly. For those interested in history and old stones, the place is ideal to discover the different sites of the Cathar Country (Quéribus, Peyrepertuse, Termes, Villerouge Termenès ...). If you are looking for great luxury and the animation of the coast, do not come to my house. If, on the other hand, authenticity, simplicity, conviviality are words that speak to you, you will not be disappointed. C'est toujours une rencontre agréable lorsque les vacanciers apprécient le lieu et son environnement, lorsqu'il tombent sous le charme de cet endroit sauvage et lorsqu'ils sont sensibles à la réhabilitation de cette ancienne cave.